NASA scientists have discovered the strongest evidence yet that microbial life might once have thrived on Mars. The new evidence comes from two sedimentary rock samples that the space agency’s Curiosity rover drilled out of the bottom of Gale Crater, which is believed to have contained a shallow lake some 3.5 billion years ago when the Red Planet was a warmer, wetter place. 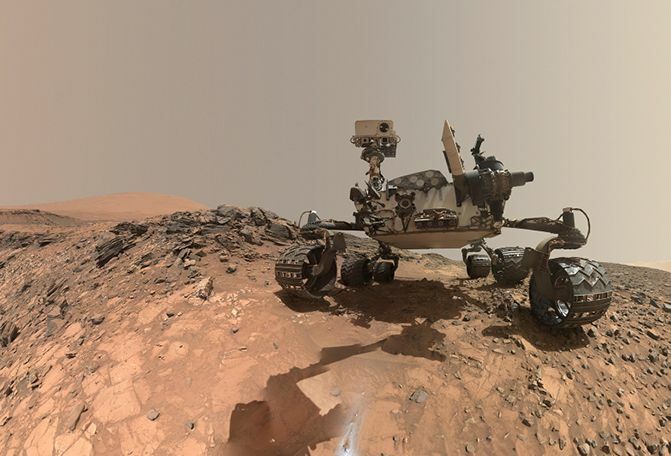 Curiosity analyzed the samples to determine their composition and detected several complex organic molecules—chemical compounds that contain carbon, the element central to life on Earth. The lake in the crater would have “had everything that organisms needed to be happy—maybe there was life in the lake,” NASA astrobiologist Jennifer Eigenbrode tells NPR.org. If there was, those organisms could have left behind the organic molecules when they decayed. But there could be nonbiological explanations for the presence of these compounds on Mars. The same organics have been found in meteorites that have fallen from space, and the molecules can also be produced in chemical reactions that don’t involve life. We might not have to wait long for a more definitive answer: In 2020, NASA plans to launch a rover to collect Martian rocks that a later mission could bring back to Earth, where scientists would be able to study the samples with a much wider array of instruments.